Westborough – The town of Westborough&apos;s population in 1940 was 6,463. Of those, 790 men and women served in World War II; 18 were killed in action during 1941-1945. 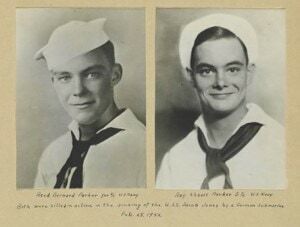 Two of those who perished were brothers, Yeoman Second Class (YN2) Reed Barnard Parker and his brother, Seaman First Class (SN1c) Roy Abbott Parker. Early in the morning of Feb. 28, 1942, as the destroyer USS Jacob Jones (DD-130) patrolled the calm waters off Cape May, N.J., several “Ato” torpedoes fired by German submarine?U-578 slammed into her port side. The Wicks-class destroyer broke into three sections, with only the mid-ship section left intact to float for 20 or 30 minutes as the surviving crew struggled to abandon ship. A total of 12 men survived long enough to be picked up by Eagle 56 (PE-56), a World War I era patrol boat. Among the lost were the two Parker brothers. Their pictures, along with those of others who served in the war, including Army Air Corps Lieutenant Frederick G. Reed, who also died in the war, were compiled into a scrapbook by their mother, Daisy Parker. 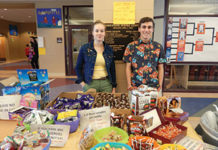 “When Reed had come home on leave from the Navy, his stories so excited his younger brother Roy that Roy also joined the Navy, leaving high school to do so,” said Nancy Friis-Hansen, commander of the Westborough American Legion Stowell-Parker Post 163. The Parker brothers were subsequently allowed to serve together aboard USS Jacob Jones. When the ship was torpedoed, Roy was asleep in his bunk while Reed was standing watch. Neither survived the attack. Later in 1942, after five Iowa brothers, the Sullivans, were all lost aboard the light cruiser USS Juneau, the Navy ended the practice of allowing brothers to serve aboard the same ships. John Haley, also of Westborough, is listed as a fellow crewman at the time of Jacob Jones” sinking. Daisy Parker&apos;s Westborough World War II memorial scrapbook was donated to the Westborough Public Library in 2010 by the Westborough American Legion Stowell-Parker Post 163. 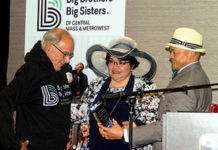 It can be viewed online at the Westborough Public Library&apos;s website, http://www.westboroughlib.org. In it are poignant news clippings of young lives lost in lands far away from Westborough. One of the names on the list in the scrapbook is Lt. Roy Fletcher. His remains were recently recovered on the island of Corsica and buried with full military honors in 2010. Another Westborough resident, Lt. Joseph Nason, was originally listed as missing in action and declared dead after his plane was hit by anti-aircraft fire. But Nason was, in fact, a prisoner of war. After being liberated in 1945, he returned home, married, and wrote a book, “Horio, You Next Die“ in which he recounted his experiences. Nason passed away in 2012. The legacy of the Parker brothers continues on. In the book “On the Beaten Path,” Kristina Nilson Allen noted that the Parker brothers” sister, Beth Haley, in 1992 wrote a tribute to her lost siblings on the 50th anniversary of their deaths. The Legion Hall is on 7 Parkman St., near the Westborough Public Library. For more information, contact Friis-Hansen at 508-366-7072.